What if you could easily create a single view of important business data, whether it resides on your desktop or in the cloud? Suppose you could monitor marketing campaign performance using a live dashboard, create rich interactive reports, and access your data on the go with native mobile apps. It’s all possible today with Power BI. Take this video tour to learn how. Connecting to data sources doesn’t have to be a headache. Power BI simplifies getting data from files, databases, and services—on-premises and in the cloud. Your marketing department wants to gather website performance data for different campaigns in one place? Power BI connects directly with popular web analytics services, such as Google Analytics and more, and presents the data in ready-to-use dashboards. Do sales managers need to assemble and report on the latest trends for an executive briefing? Simple. Pull in CRM data from online services such as Salesforce.com or Microsoft Dynamics, and combine them with information in Excel workbooks that you import from OneDrive or your computer. Watch how you can get data in Power BI with just a few clicks. 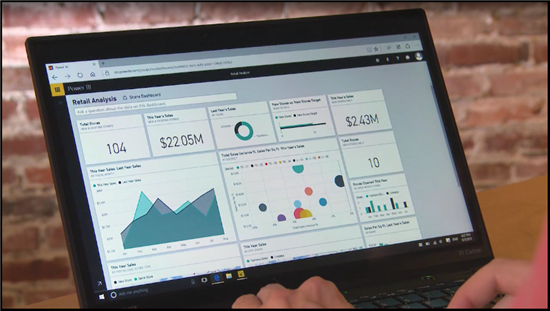 Power BI visualization tools enable anyone to create stunning graphics for reports and dashboards, just about effortlessly. You can even use natural language to generate appealing visualizations in seconds. Wow your colleagues with a multi-perspective view into your data. Use different visualizations to represent different findings and insights. Tell your story with maps, combo charts, gauges, treemaps, and more, displayed together on a single canvas. Sound incredible? Seeing is believing. Your team needs to make quick, informed, and confident decisions. But the data is scattered in several locations, and the teams you rely on are backlogged with requests. Fortunately, you have Power BI. You connect to the separate data sources, assemble the data in a single location, create visualizations in minutes, and share your report with team members—all with one, easy-to-use tool. Update your reports and visuals instantly with refreshed data, so your decisions reflect the latest available information. Enter a natural language question, and get a stunning, up-to-date visualization as an answer. Let Power BI support agile decision-making in your organization today. Watch how. You don’t have to have advanced analytics skills to use Power BI. With features that simplify accessing datasets, creating visualizations, and sharing reports, Power BI enables everyone to integrate data analysis in their work, whatever their role. Business users across the organization now have a single, easy-to-use tool to tap into insights hidden in large amounts of data, regardless of where the information resides. 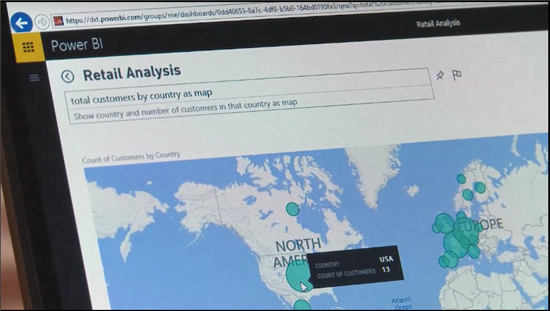 And Power BI visualization tools put sophisticated data representation capbilities into the hands of everyone. Power BI empowers everyone in the organization to be self-sufficient and more productive. Here’s how. How often does this happen? Your team needs to work collaboratively to complete a report, but everyone has their own separate version of the numbers. Power BI enables you to work together using a single view of the data. Create and publish content packs of the latest, updated information to your team or your entire organization. Use Power BI Groups to collaborate with team members and key stakeholders to ensure that everyone is on the same page. Keep informed with the most recent information no matter where you are. Access your data anywhere, anytime. 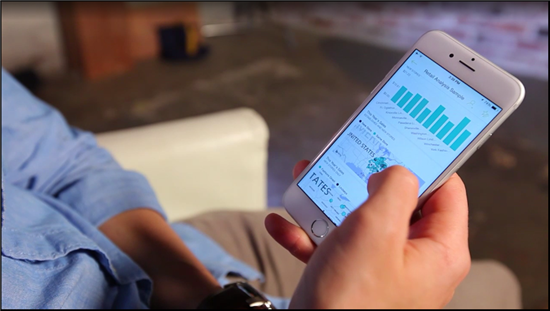 Power BI touch-enabled native apps for Windows, iOS, and Android, provide live, interactive, mobile access to your data. 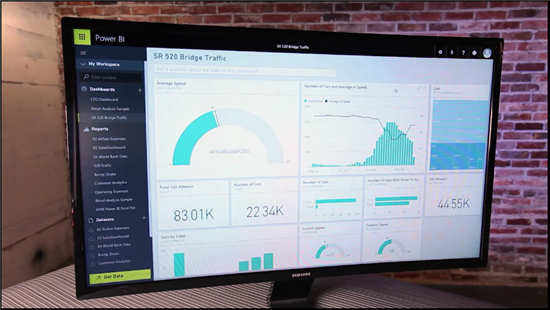 Watch how Power BI powers collaboration for data-driven decision making.